NICOLE MORRIS…TOUGH TIMES AND HOLY CROSS! 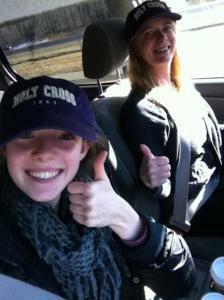 Nicole Morris gave Holy Cross the thumbs up! Nicole Morris has seen a number of kids with dreams of playing in the Patriot League fall by the wayside. Those kids discovered that playing in the Patriot League is a hell of a lot easier than getting admitted into the schools that make up the conference. She has watched other talented kids come up short and saw the disappointment in their faces. She was determined not to let that happen to her. This is why she started taking SAT courses as a freshman and why she has a 4.2 GPA in honor classes. She skipped social events and athletic activities on many occasions to improve her chances of fulfilling her dream; she made the hard choices look easy. Nicole Morris and her family have always understood that you can’t put the cart before the horse. When I told Nicole Morris’s family that an ACC school had called to ask of her interest, Nancy and Jim Morris didn’t give it a second thought. This is because the Morris priory on education has always been the number one consideration in raising their children. Yesterday they backed that up by watching their daughter give the Holy Cross coaching staff the good news that they had won the recruiting war. The number of Schools that offered Nicole Morris is way too long to list. Let’s just say this…IT WOULD TAKE A WHILE. But in the end it came to down to one thing her mother Nancy said, “you just know when it’s right, you can’t explain it, you just know it’s right” and that’s how she felt about Holy Cross…it was just right. 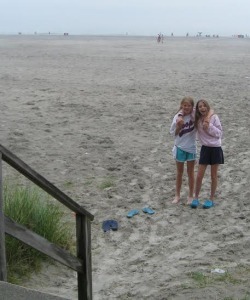 But there has been something also right about Nicole Morris since the day I met her. She has ALWAYS been a good kid on and off the court. She has always been respectful of her parents and coaches. She has been her twin sister (Lindsey) biggest supporter and has included her in everything along way. 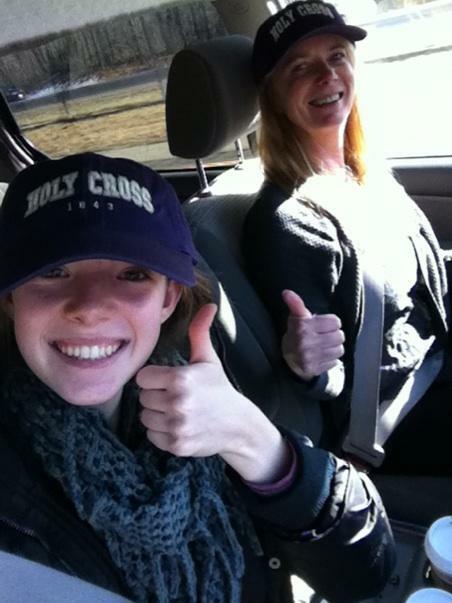 It was Lindsey that Nicole called on Friday night and said “I think I am going to commit to “HOLY CROSS IN THE MORNING”. This is what I have always loved about Nicole… her mental toughness, a word sooooo over used today! What makes Nicole so perfect to be around and so easy to root for comes down to one thing. She NEVER RUNS AWAY! Nicole Morris is a player you can coach hard. I have seen the tears in her eyes after being taken to task for mistakes or called out in front of her peers. You learn a lot about a kid when you tell them the truth, especially in front of their peers. Nicole Morris allows a coach to do something all coaches love…coach her without a filter! We live in a time where some parents get upset when you compliment other kids and then point out there child’s weaknesses, while coaching their kid hard. Often times that kid disappears and the parents are bitter. They find a new coach or a new trainer and even a new team. They hope to find a new road to success, sometimes it works and sometimes it doesn’t. For these kids it’s about comfort zone and politicking. Getting better becomes secondary, until scholarship time comes rolling around. This is why when coaches ask me about kids I always say, check the things that matter. Character and REAL mental toughness…In the case of Nicole Morris I never had to hesitate when answering those tough questions college coaches ask, when getting ready to offer a kid…. Nicole Morris is has always showed up rain or shine! When Nicole Morris was a freshman, she watched from the bench a great deal. She was frustrated but what I remember most is that she never stopped being a teammate. She cheered, got water and smiled, when it was not easy. You see sometimes you have to be part of something, even when you don’t feel a big part of it. Nicole Morris watched as other freshman in the shore became household names and she may not want to admit this, but the competitive part of her must have made it hard to watch. But as the season started moving closer to the SCT and State tournament, Nicole Morris became a big part of the team and Rumson won a Group 2 state title. But what was lost in all the excitement of a championship was this… Nicole Morris never stop preparing and being ready for her opportunity. Last year there were those telling her she needed to score more, and that if she didn’t she wouldn’t get recruited or make a name for herself. Nicole didn’t listen to such talk and understood that college coaches know the game a little better than fans and parents. 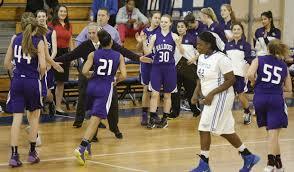 This is why she became one the most recruited players in the Shore…because she has always handled things perfectly! 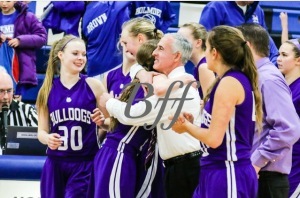 Nicole and Coach Sourlis “HUG IT OUT” after Group 2 title as Lindsey looks on! Nicole had the tough task of calling college coaches and giving them the bad news yesterday. She is a kid that hates disappointing friends and those around her. But at the end of the day, there was always going to be only ONE happy coach. 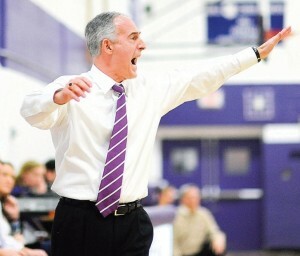 I had a number of coaches ask me why Holy Cross? My answer was this… Nicole is a kid who can make hard decisions look easy. I never saw her once during the recruiting process look overwhelmed. But what I did find interesting is that Coaches from Fordham, Rider, Bucknell, schools that were not in the recruiting hunt for whatever reason…called and wished her well after her big decision. I found it interesting that kids she once played with and against like Kelly Campbell, Stephanie Karzc and others called and said congrats. AAU coaches that she played against texted to say congrats. Now all these people showed amazing class and it tells you a little something about the good in people…But it was a text from her own teammate that maybe touched her the most. Grace Stant reminded Nicole how proud she was of her and how much she loved being her teammate and this folks is why Nicole Morris had a prefect day…because her teammates, competitors and coaches were happy for her. 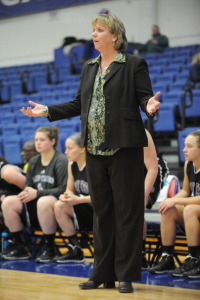 Associate Coach, Ann McInerney won the battle! Nancy and Jim Morris have held their Nicole to a high standard on and off the court her entire young life. They are not sports people. They just happen to have a daughter that is a hard worker and has a special talent. They believe that sports can play a big part in a young person’s life, but it can’t be their life. These are parents who want the best for their kids, but it doesn’t mean giving them a pass on responsibility or accountability. 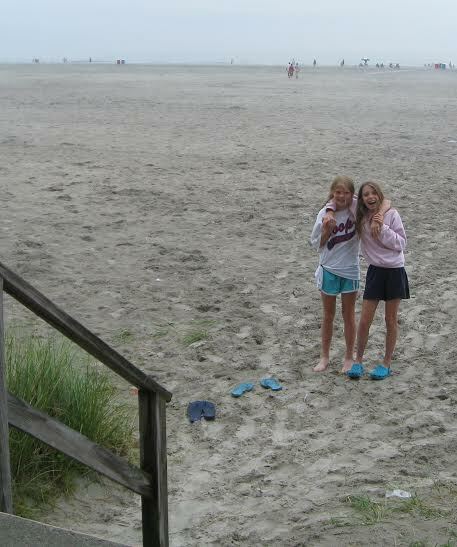 Nicole and Lindsey now know their parent’s guidance and tough stance on education and life are the keys to success. Nicole confirmed all of these values this weekend, proving her parents were 100% correct; that doing things the right way is how you make dreams come true. Nobody gets to this level of success without help and Nicole Morris understands that. George Sourlis has been her biggest supporter but more importantly taught her about patience, even if she didn’t understand it at the time. Tracey Sabino and her ShoreShots program provided the visibility and help create the name recognition she needed in order to create that all important buzz in recruiting. Then of course Joe Whalen showed Nicole Morris was special by allowing her a free hand on the AAU circuit to showcase her skills…These are the real hero’s behind Nicole Morris’s success, because more than anyone else these are the people who believed in her talents and supported her through good and hard times….they have been the PERFECT PEOPLE TO HELP HER ALONG THE WAY. The hardest thing for kids to do in my mind is SHOW UP. I have found that kids who show up in most cases live their dreams. But showing up is not always easy. I often tell people my coaching style is not for everyone. I see kids come and go all the time. It’s the nature of sports…Nicole Morris has always saw things through from start to finish regardless of how hard things seem to be. 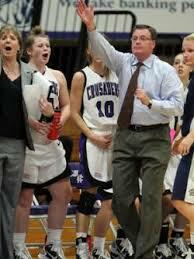 I’m proud of her because she’s going to play for one of the winningest coaches in Patriot League history and he too has had to Show up and not walk away when things were hard…That’s why NICOLE MORRIS AND COACH GIBBONS ARE PERFECT TOGETHER…..CONGRATS TO NICOLE MORRIS AND HOLY CROSS! Hey Nicole!… we both just proved tough times don’t last…just tough people, WELCOME TO THE FAMILY! ← MIA EHLING NOT FORGOTTEN… TODAY! LIST OF D1 SIGNINGS!